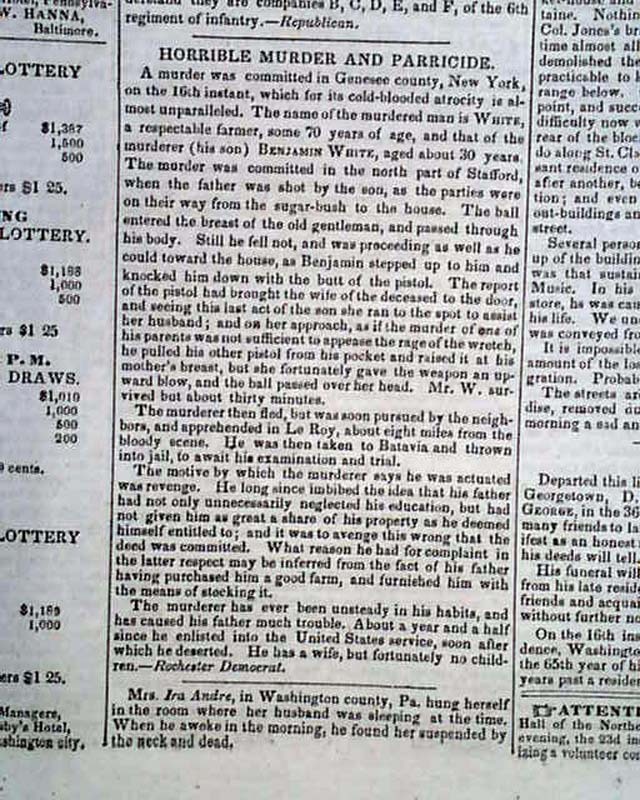 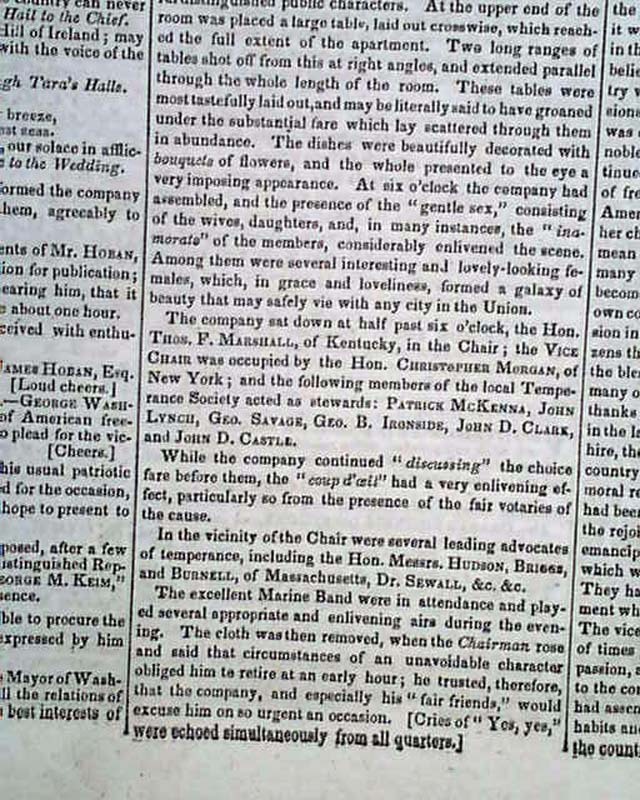 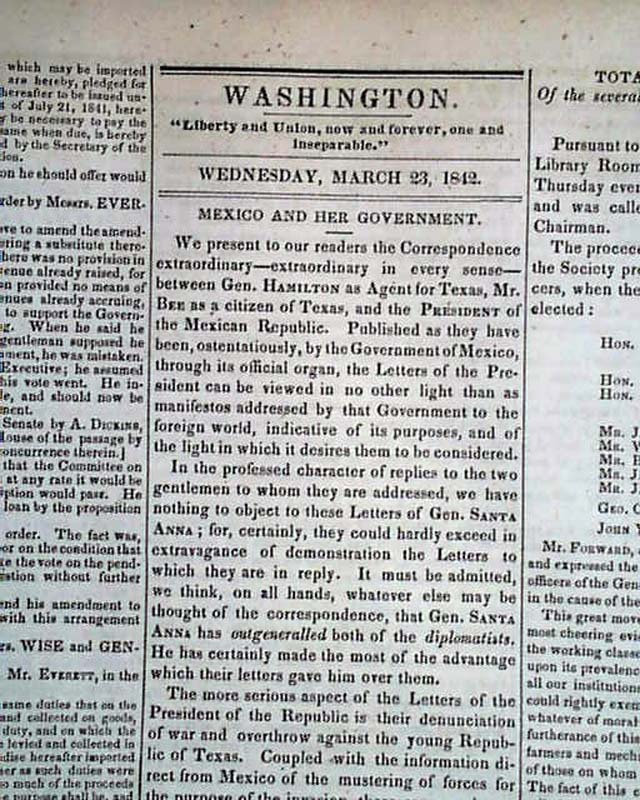 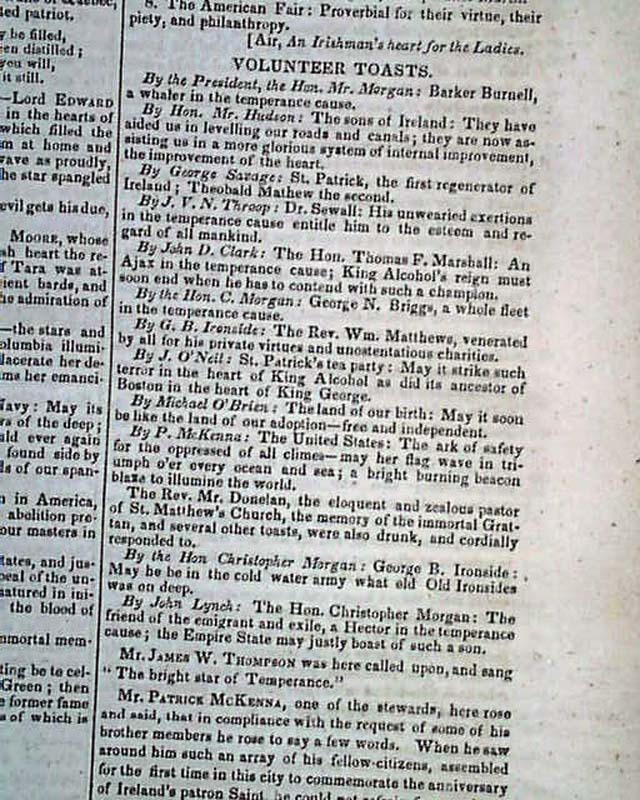 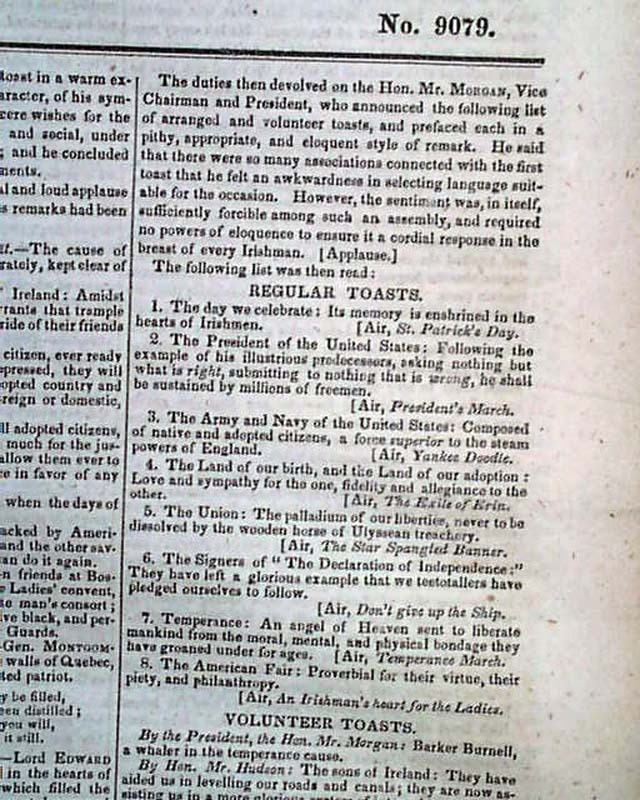 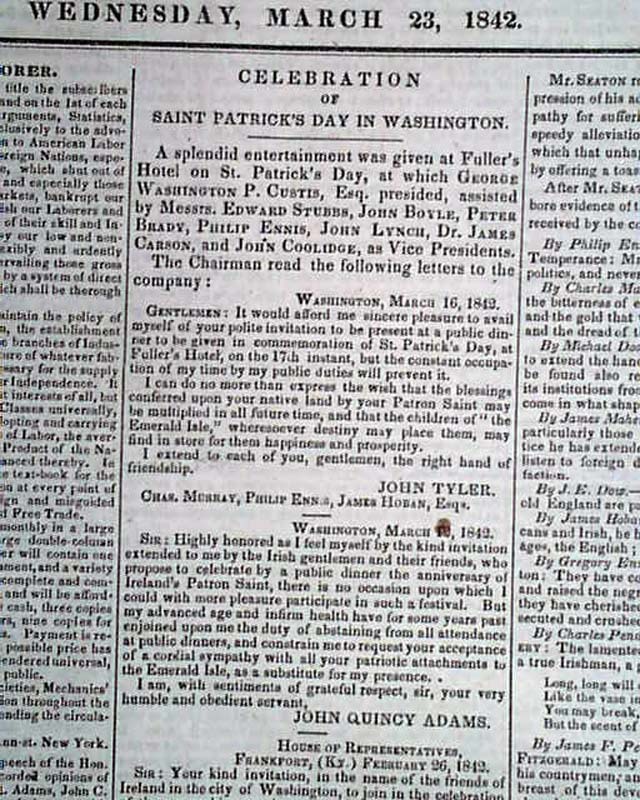 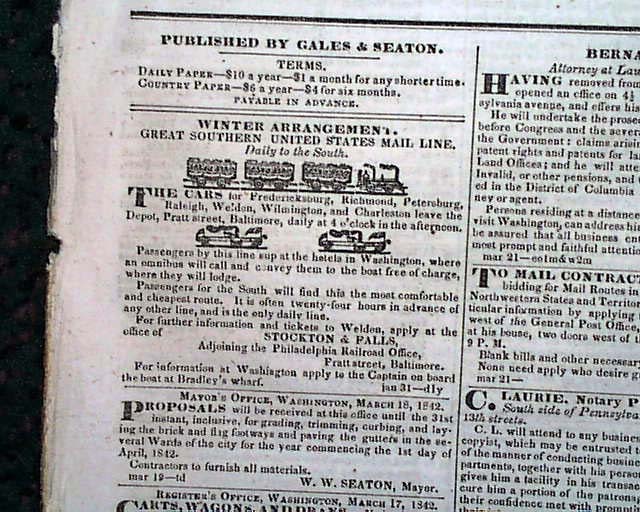 The front page has considerable coverage of the St. Patrick's Day festivities held in Washington, D.C., which includes details regarding a special event held at the Fuller's Hotel, and is accompanied by appreciative letters of rejection from both John Tyler and John Quincy Adams. 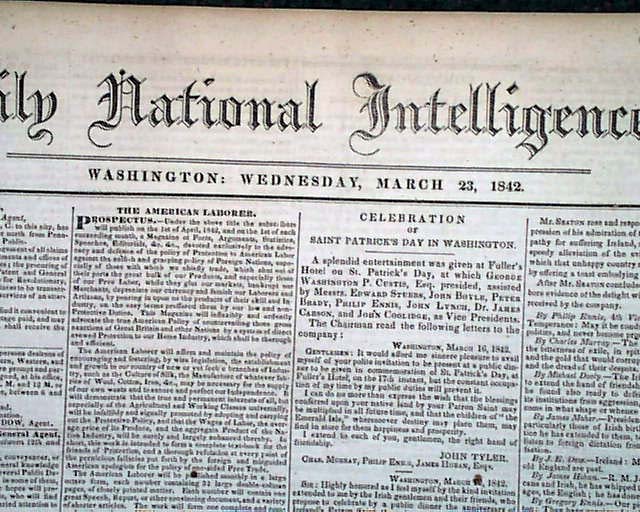 Arousing a bit of curiosity to the (unofficial) holiday is the prohibition of alcohol which was in force in Washington, D.C. at this time. 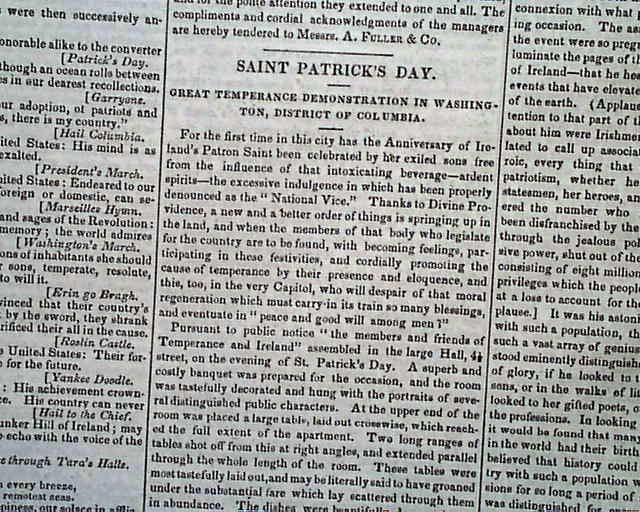 Under the heading, "SAINT PATRICK'S DAY," is: "For the first time in this city has the Anniversary of Ireland;s Patron Saint been celebrated by her exiled sons free from the influence of that intoxicating beverage - ardent spirits - the excessive indulgence in which has been properly denounced as the 'National Vice'," with more. 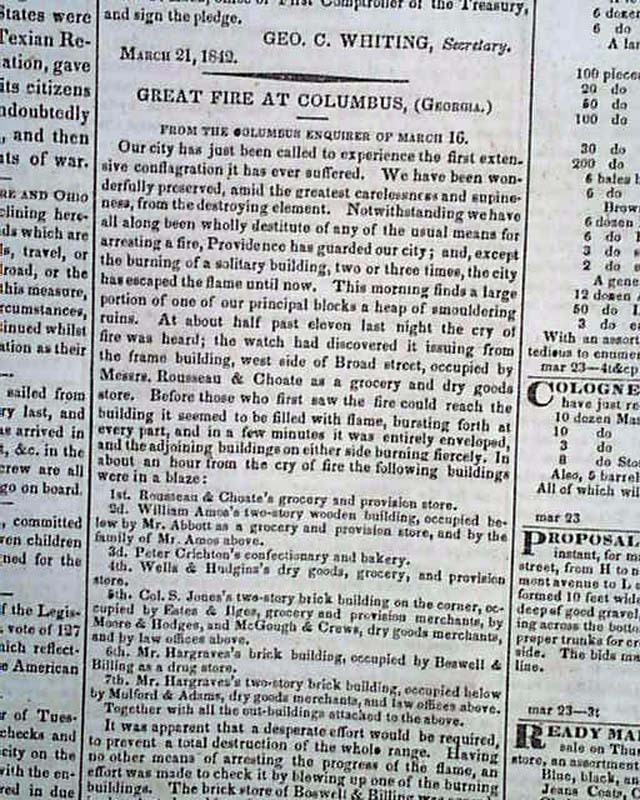 This same coverage then concludes with a host of "toasts" - adding a bit more intrigue to the celebration. 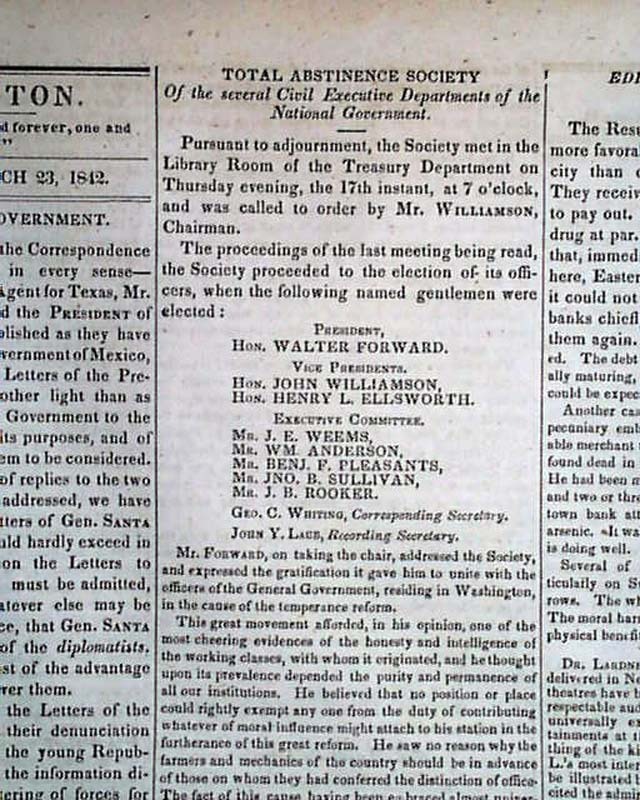 See images for additional details. 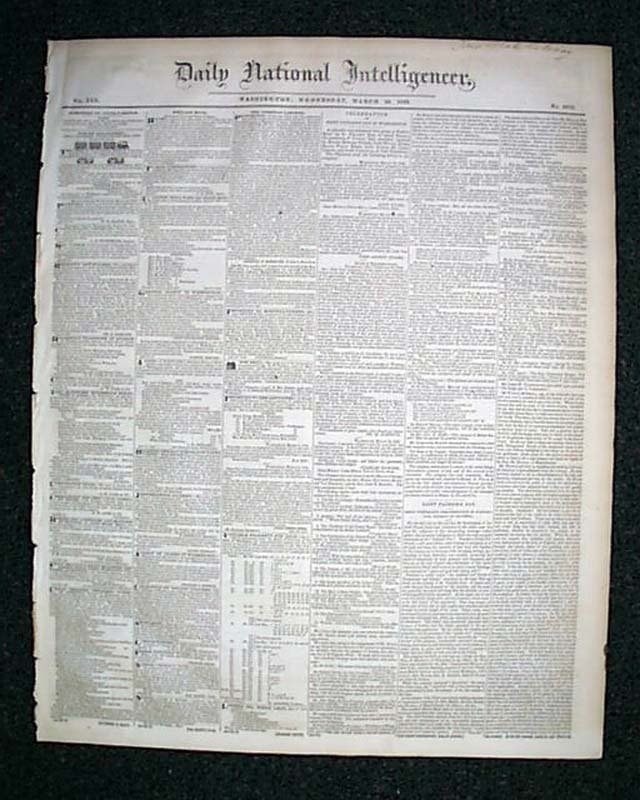 This 4 page newspaper is approximately 18 x 22 inches, has only minimal scattered foxing, and is in overall good condition.